Our shop has an interesting story. 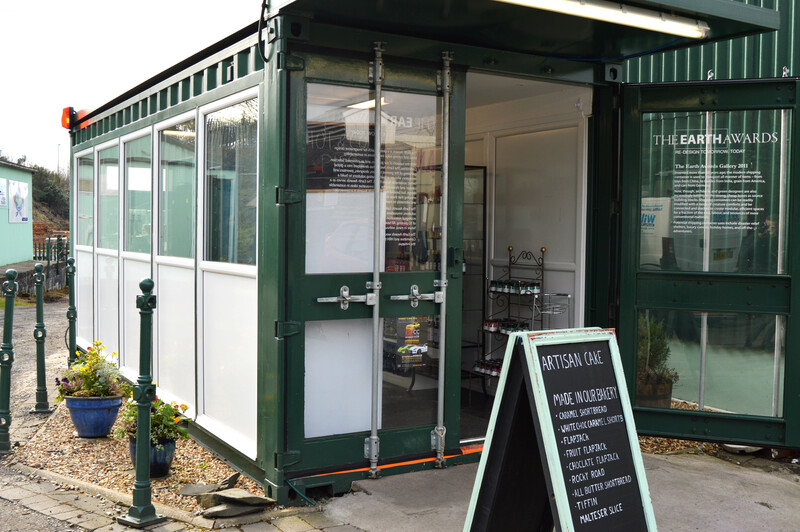 Originally a Sea Container it was converted into a portable gallery for the 2011 Start Festival at Prince Charle's residence, Clarence House. It was turned into a see-through gallery with a green roof for the exhibition. The roof was wildflower meadow turn and lighting was low voltage led so it could be run from a solar panel. Following on from the success of The Pallet House The Earth Awards asked us to come up with a gallery solution for the 2011 Start Festival at Clarence House. 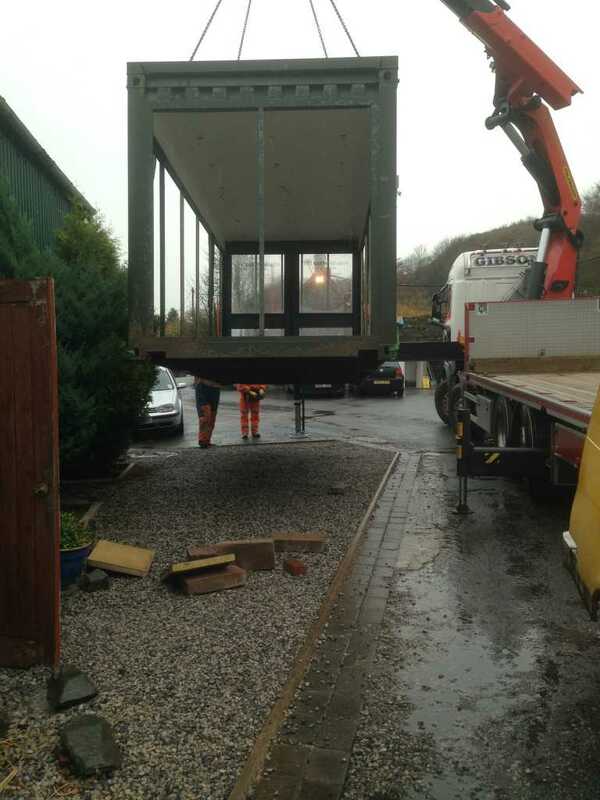 We wanted to use a-re cycled sea container and create something that could be used again and again. 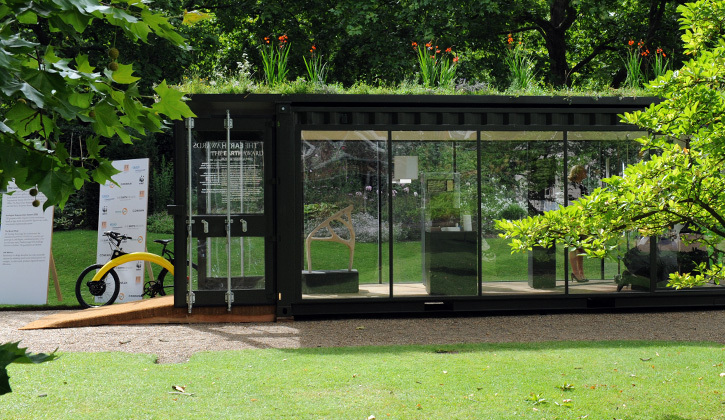 At first Clarence House wasn’t sure about having a sea container on the lawn so we turned the concept in to a sea-through gallery with a green roof making it as invisible as possible. The roof was wildflower meadow turf and lighting was low voltage led so it could be run from a solar panel. 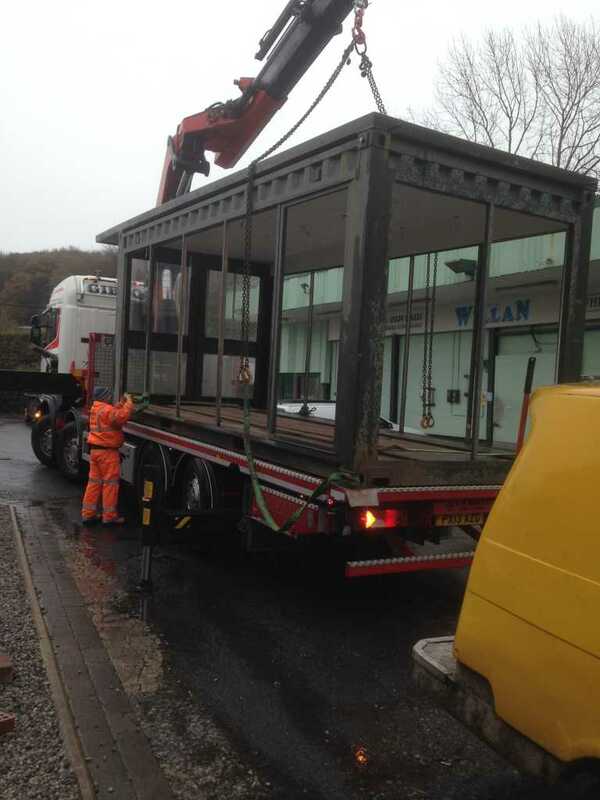 After the exhibition the gallery was sent to Coleford Town Council in the Forest of Dean for community use. Following our move into another unit in late 2016 the "old" shop is now situated to the left of the "new" shop, it now stores local produce and gifts for customers to enjoy. And now it's our shop.